Hey guys welcome back. As you know recently I have been looking into what is the processes like to become an FBI agent. 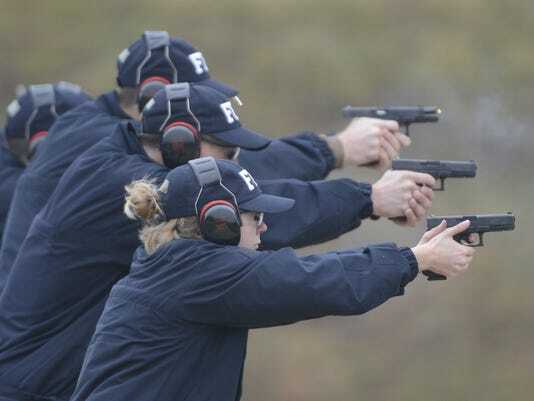 When you train to become an FBI you need to go through a training. Most FBI agents go to a school called Quantico. When you train at Quantico they are going to bring you to this place called Hogan’s alley. Hogan’s alley is a fake town to help agents train. Hogans alley has any building that a normal town would have. It has houses, stores, hotels, and more. When you train at Hogans alley you are not allowed to use a real gun. Just because you not allowed to use a real gun doesn’t mean it takes away some of the stress. The bad guys are plaed by some of the teachers. If you have any questions about Hogans alley make sure to comment. Hey guys, recently I have been looking into what is the process like to be come an FBI agent. My mom has a friend who knows a lot of FBI agents and I emailed her. You must be at least 23 but not more than 37. If you are a veteran than those rules don’t apply for you, they can be as old as they want. If you have any questions make sure to comment. I am looking forward to blogging more about this topic!